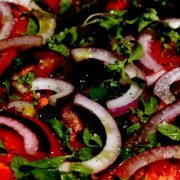 On a recent trip to visit family in Mallorca decided to use the local produce to make some yummy salads. 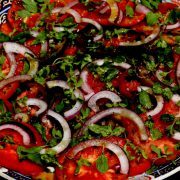 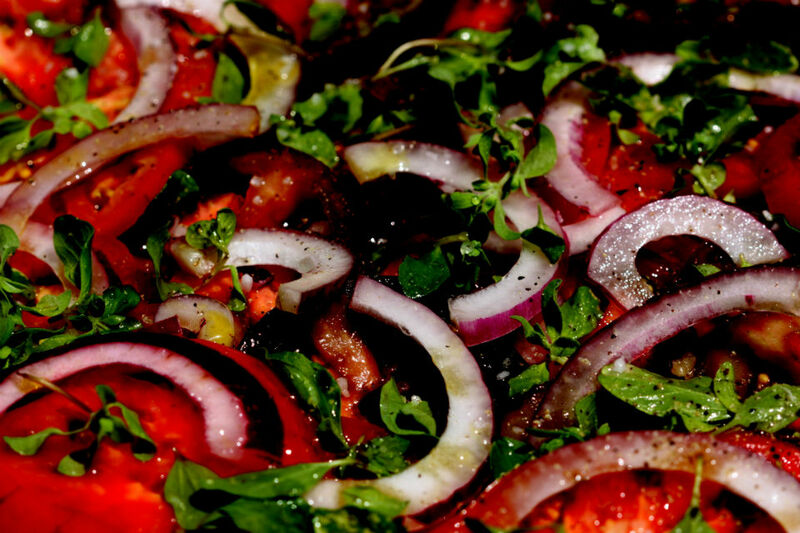 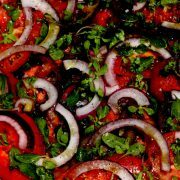 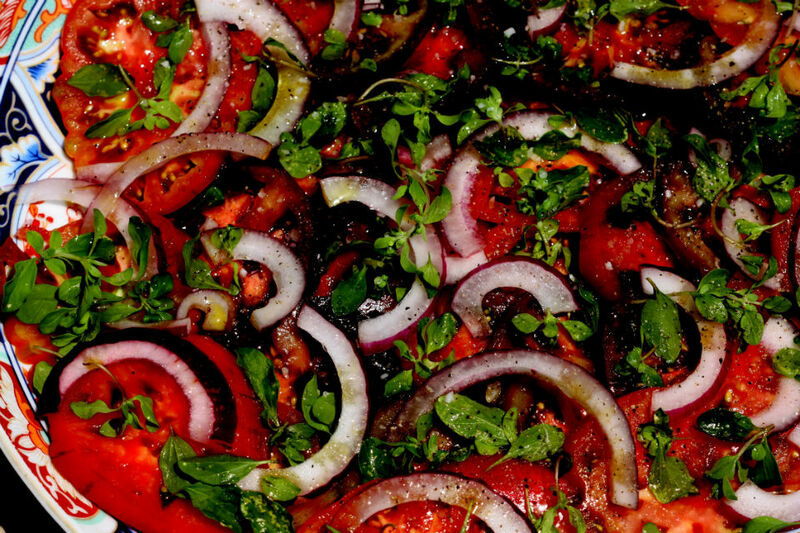 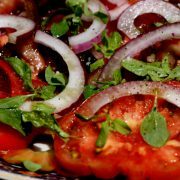 Here is a very simple tomato salad with red onions and fresh oregano. 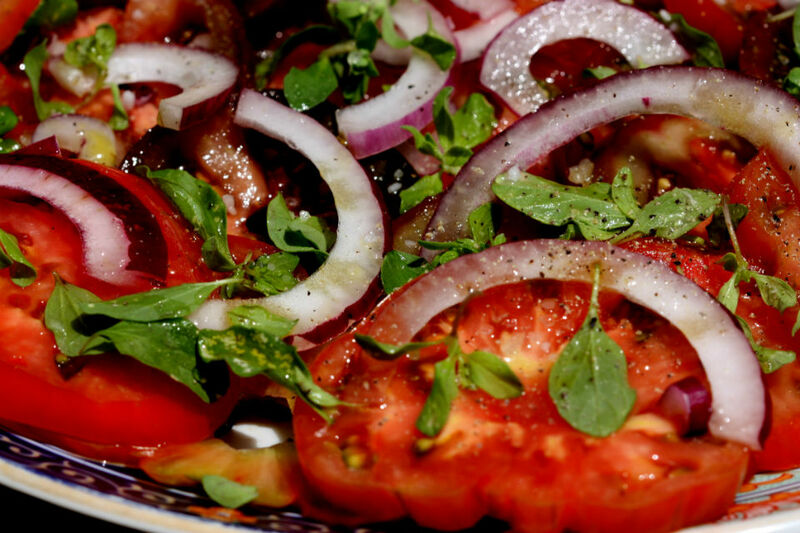 Lemon juice from the lemons growing in the garden and some local olive oil. Cant get any simpler but the taste was there. 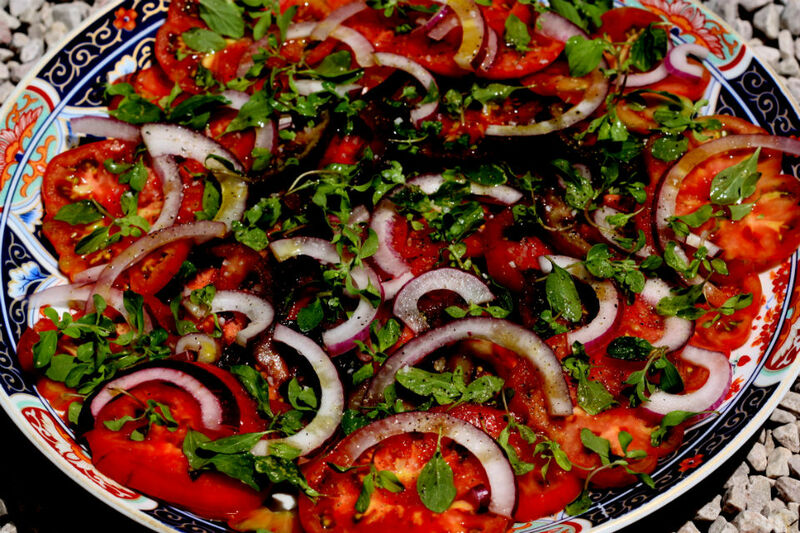 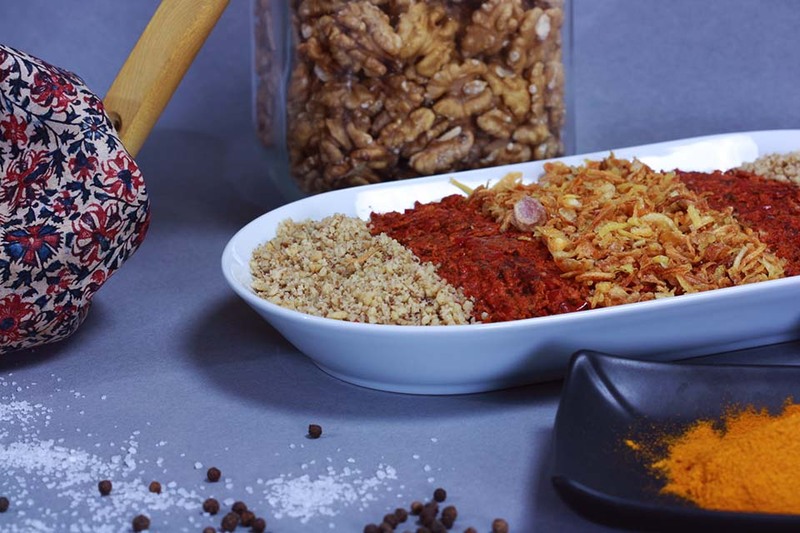 This can be modified to use different herbs such as basilic or fresh mint.